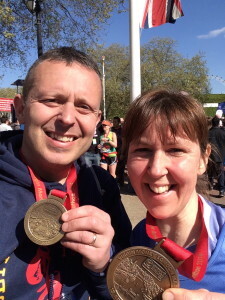 Congratulations to all of you who took part in the London Marathon yesterday, well done. It was almost perfect conditions yesterday albeit a little warm, with many runners suffering in the heat. 36,000 runners took part, many running for charity. Mo Farah finished his first London Marathon in eight place in a time of 2:08:21 just over a minute outside the British record.